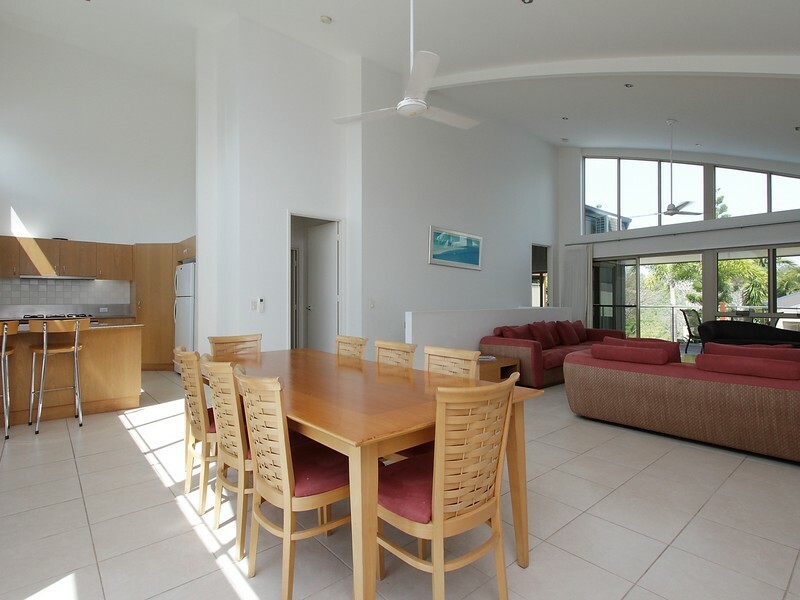 With fresh modern interiors, this spacious, four bedroom villa is perfect for a family getaway. 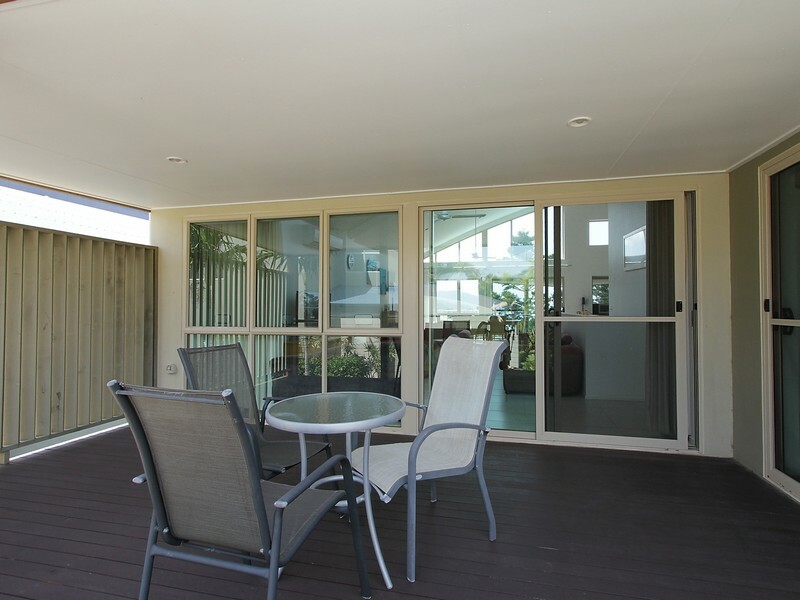 Adults will love the views from the large balcony, and kids will love the proximity to the lovely shared pool. 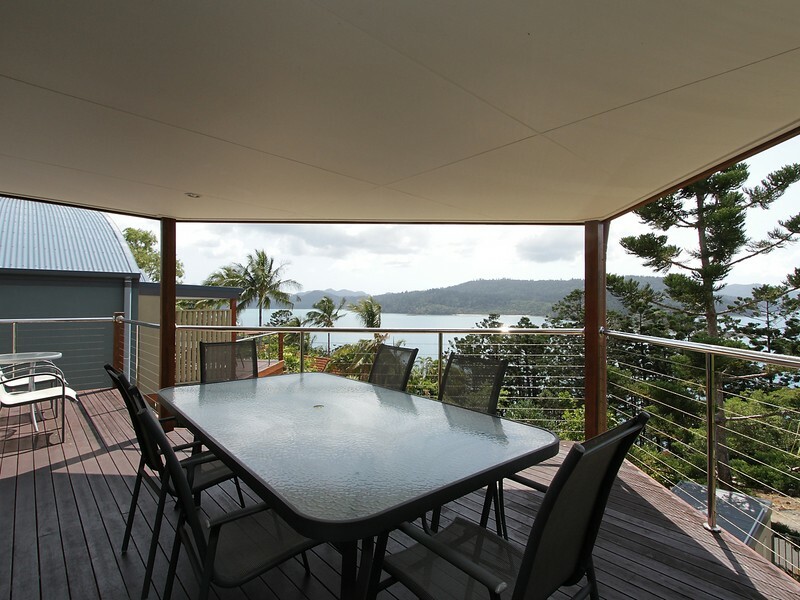 This villa offers tranquil views over the shared pool, with filtered glimpses of the turquoise Whitsunday waters. 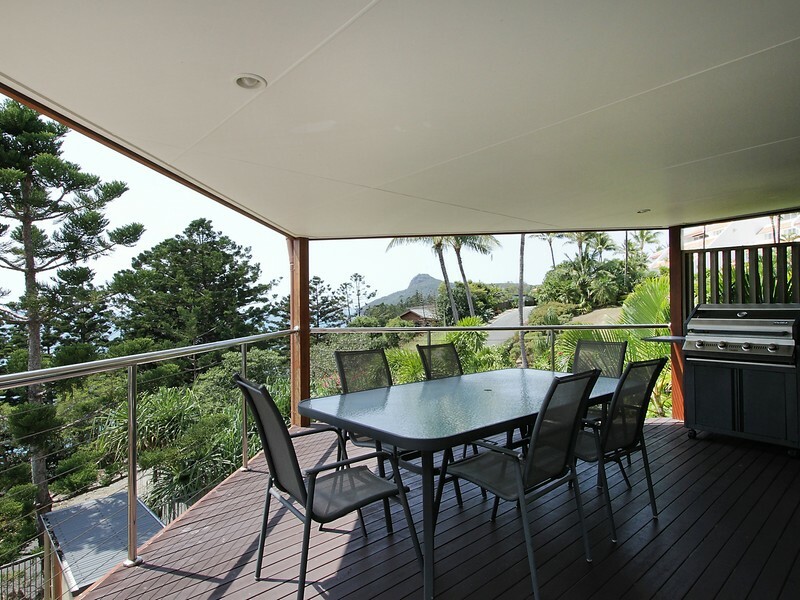 There are several balconies, including a main balcony with views and outdoor seating for eight people. 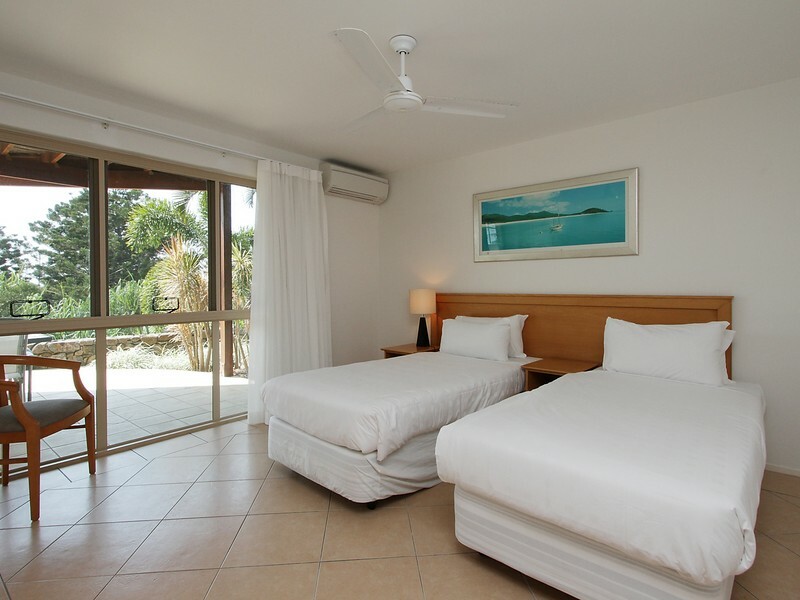 Located on the prestigious northern end of the island, the villa is just a short buggy ride to all of the island's key attractions. 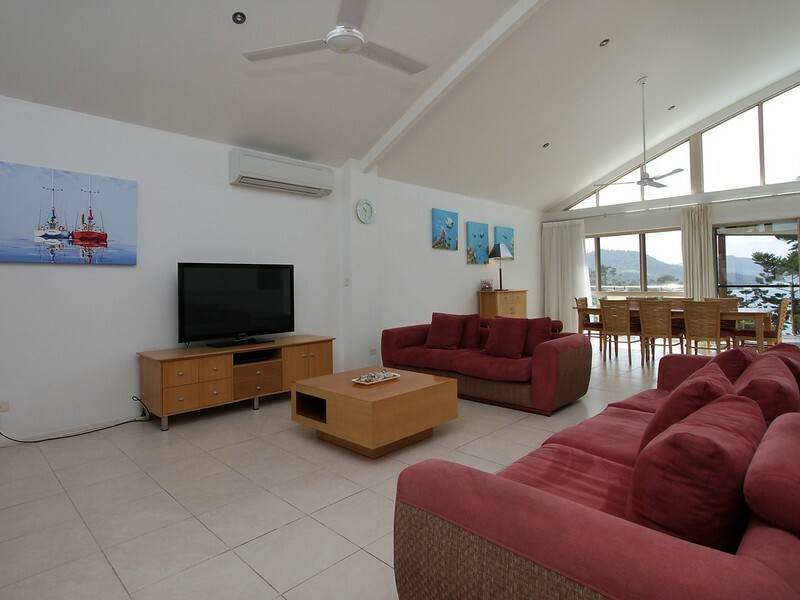 The villa is quiet and private, and has plenty of room for a family or group of friends. 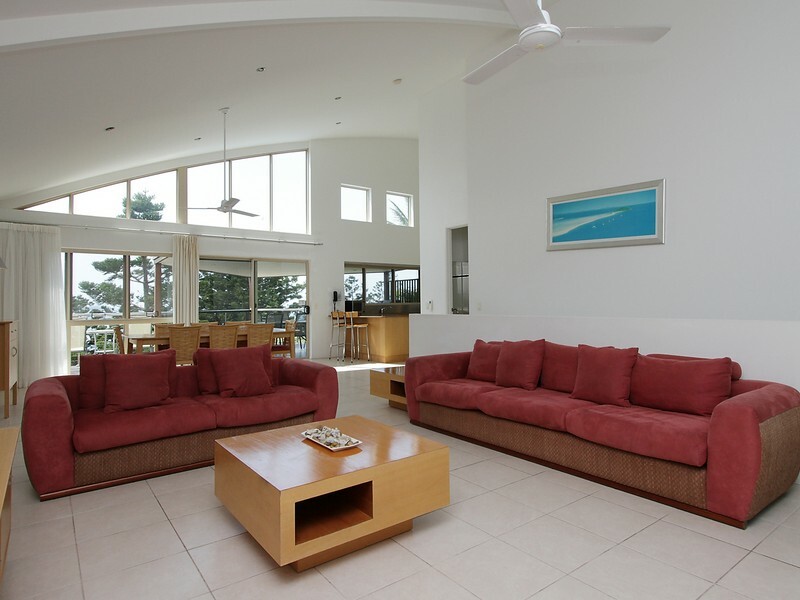 This is a large, four bedroom villa. 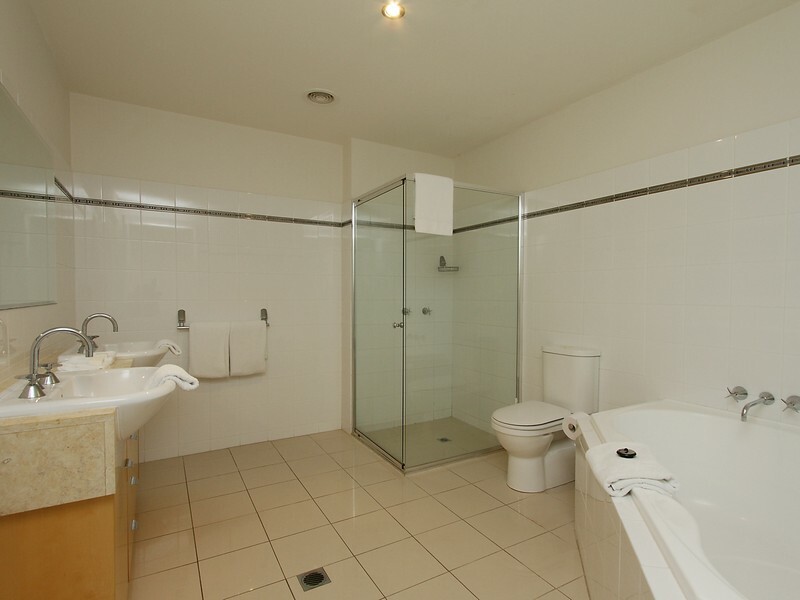 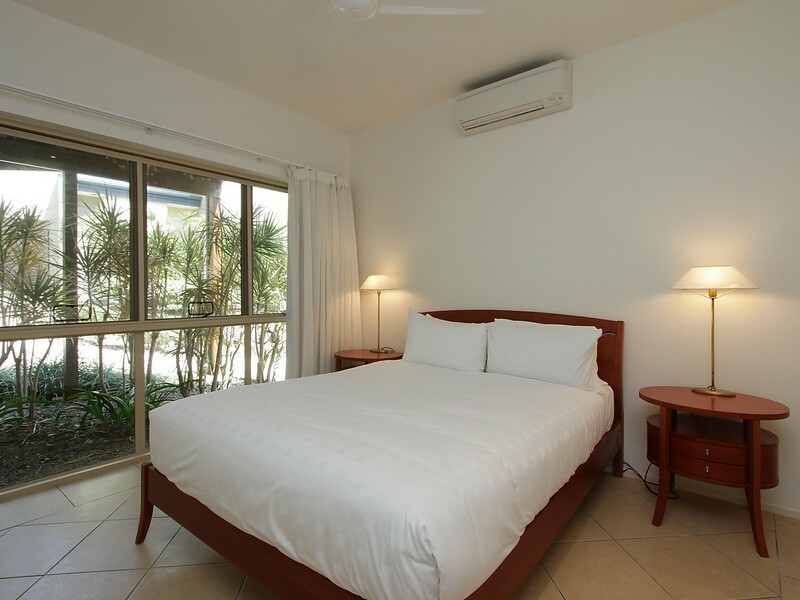 On the entry level, you'll find three bedrooms, all with robes and air-conditioning. 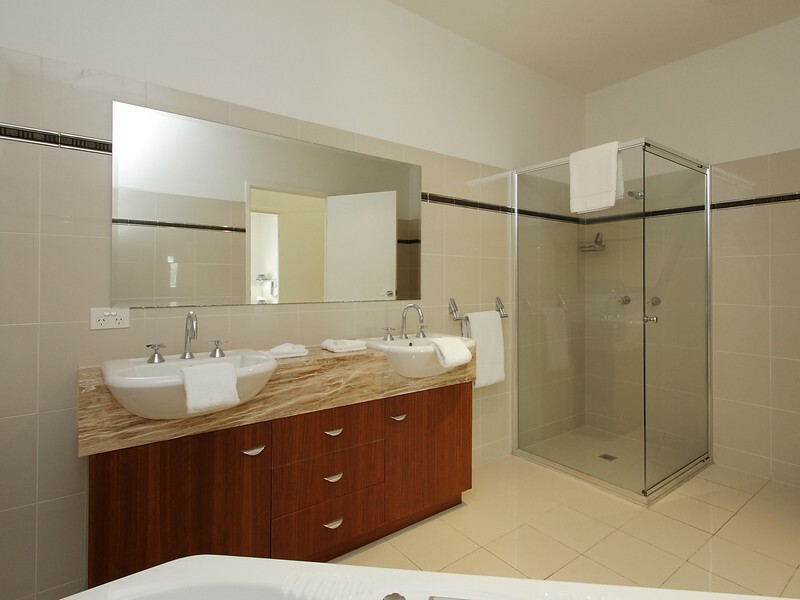 The master bedroom is located upstairs and has balcony access, a walk-in robe and ensuite with shower and corner spa bath. 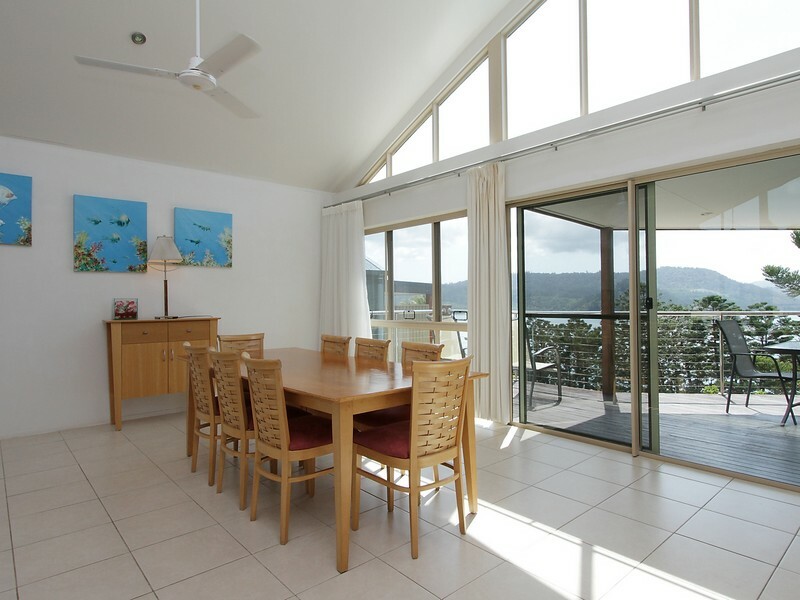 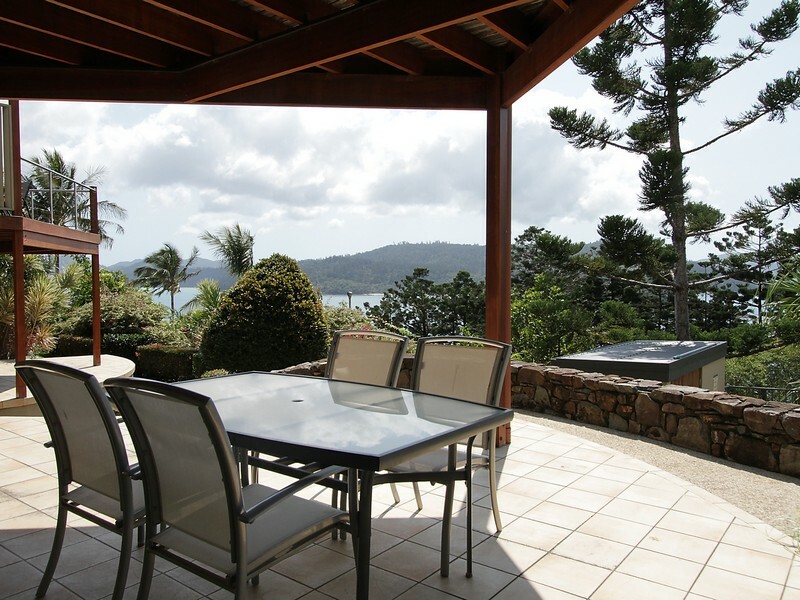 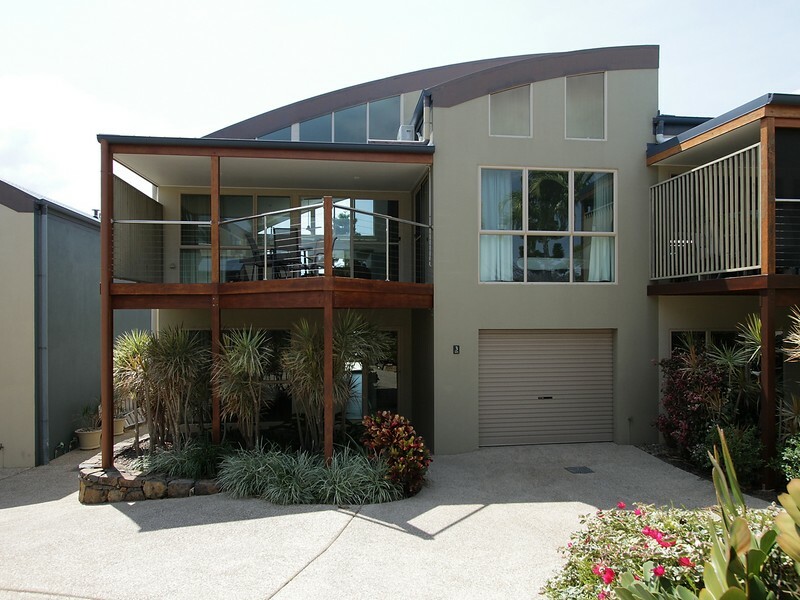 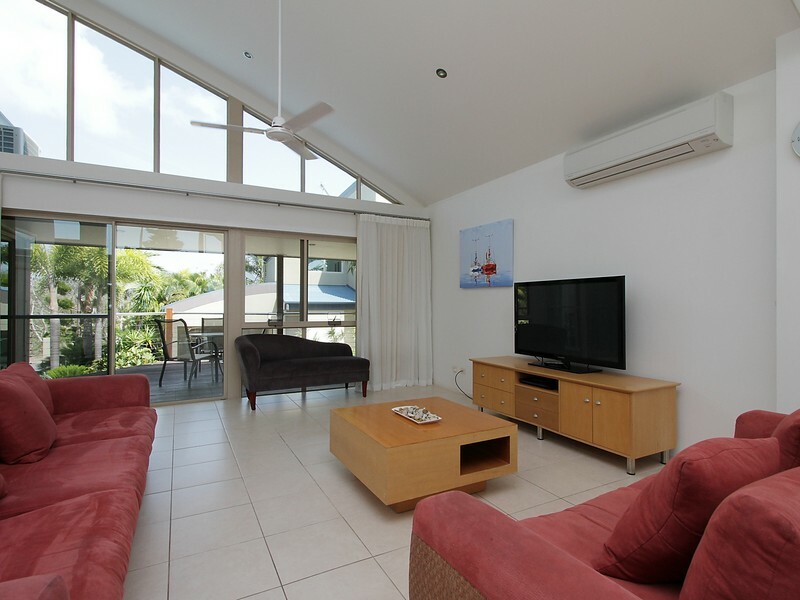 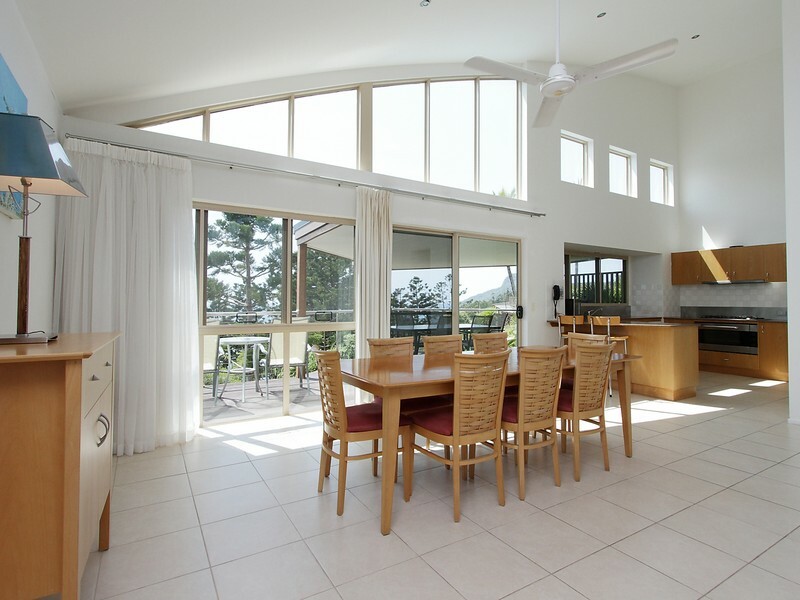 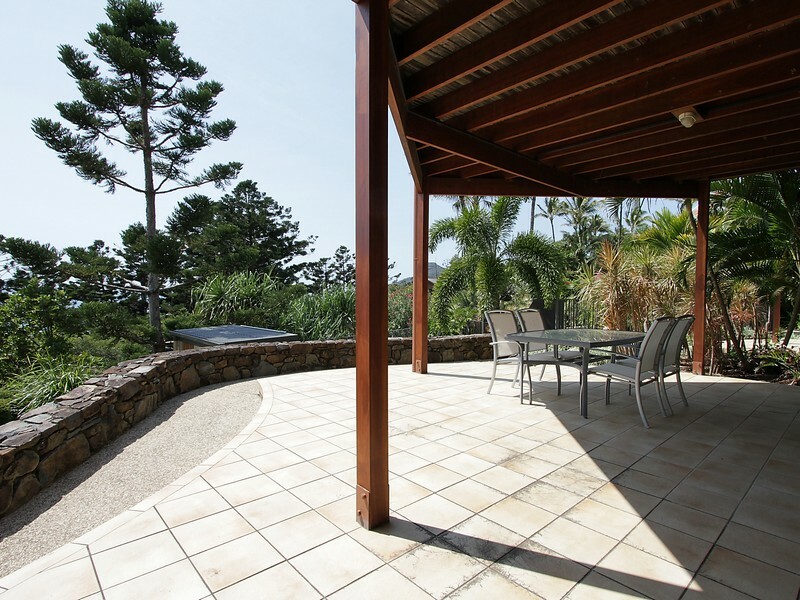 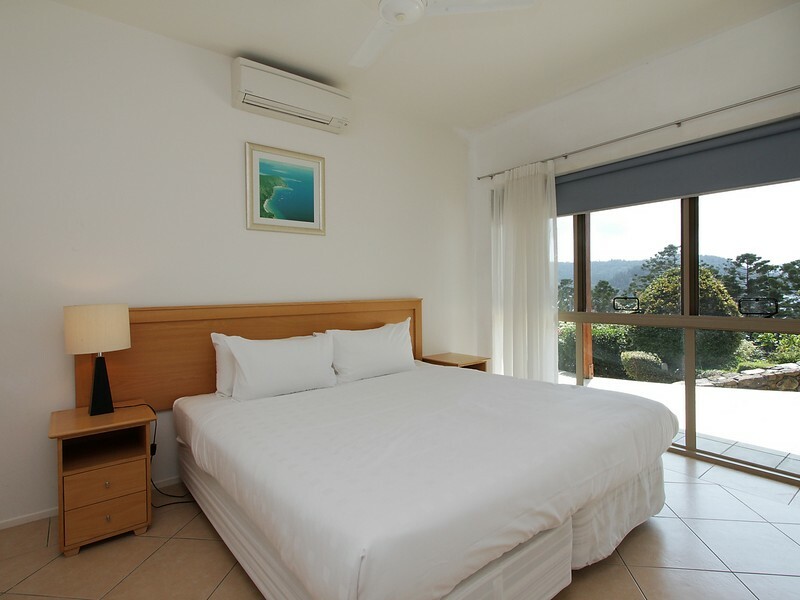 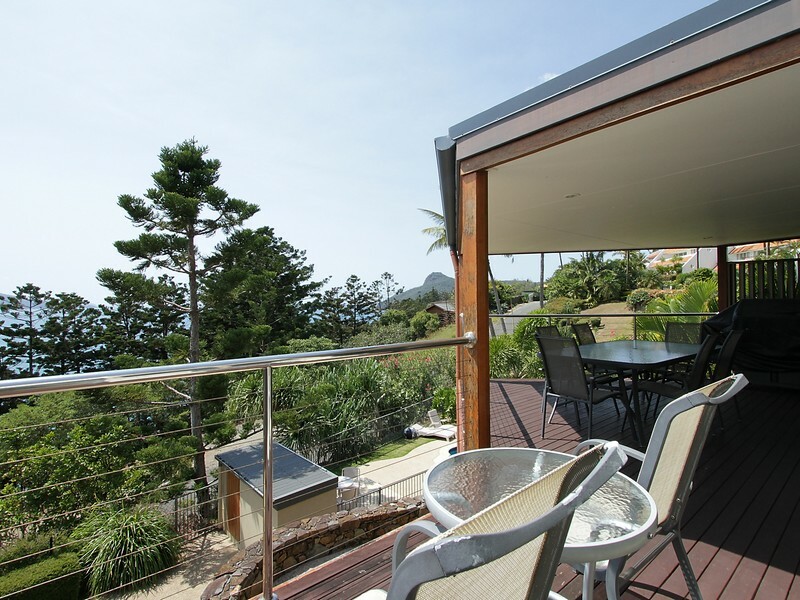 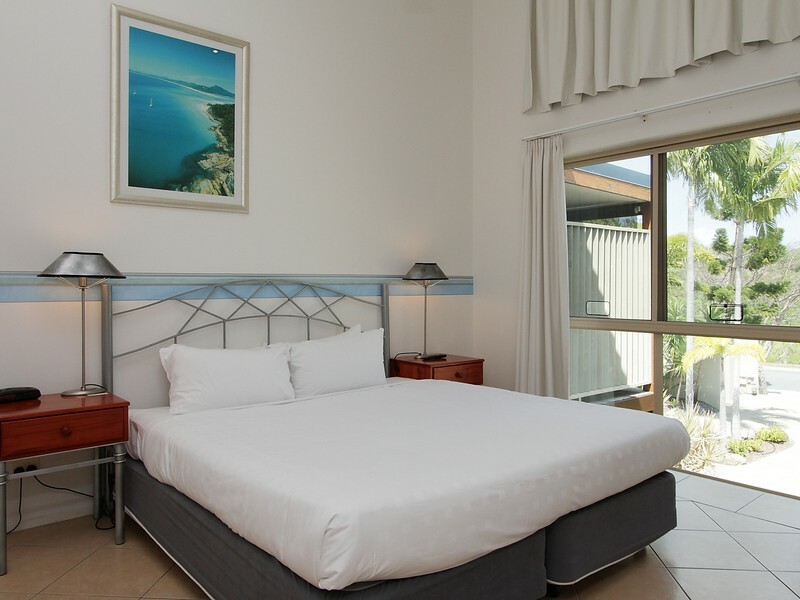 The villa overlooks, and has direct access to, the Cooinda Gardens shared pool. 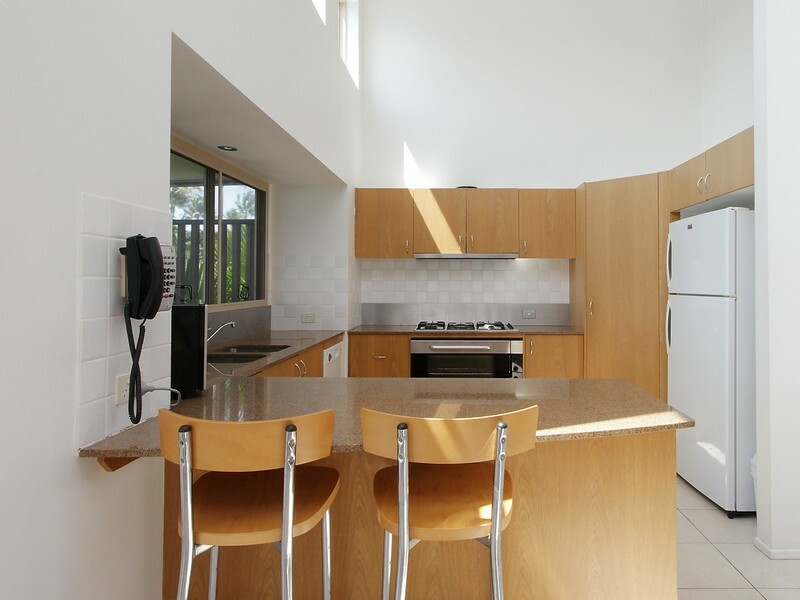 The villa features a fully-equipped kitchen with caesarstone benchtops, stainless steel appliances, all utensils, crockery and cutlery. 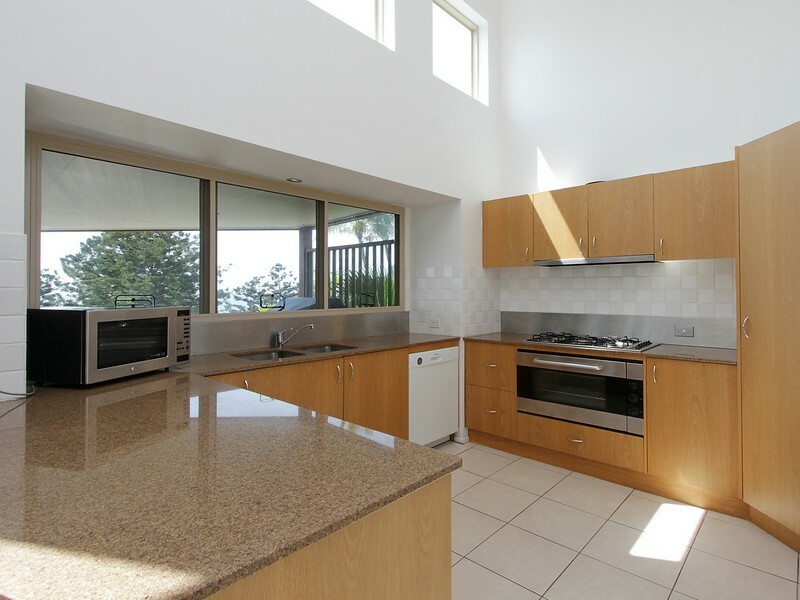 There's also a double-sized oven, ideal for catering for several guests. 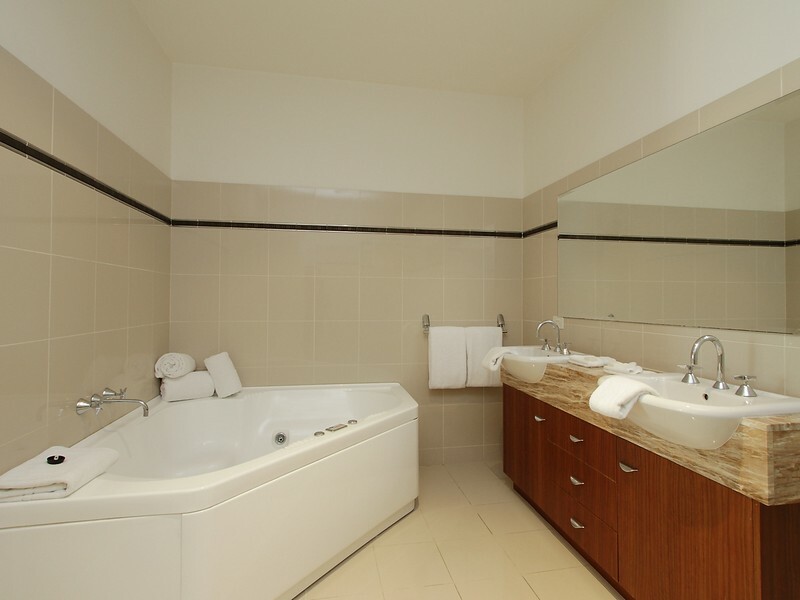 A corner spa in the upstairs bathroom provides the ultimate in holiday relaxation.